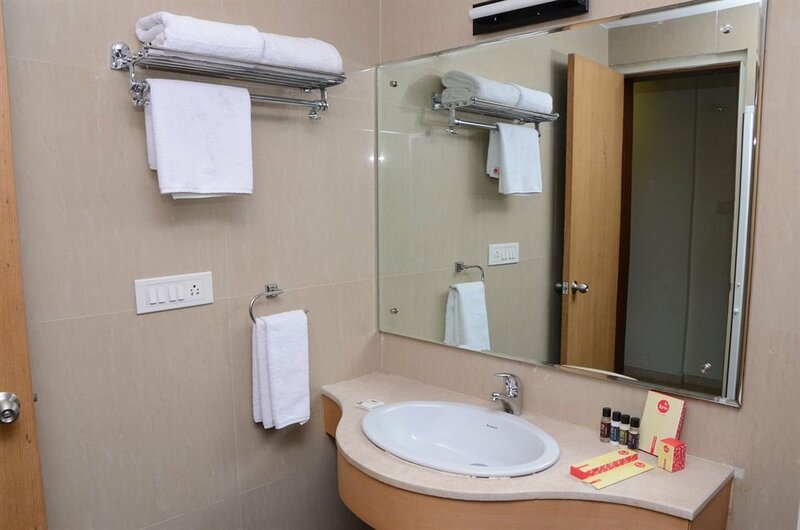 Located in the buzzing suburb of Hinjewadi just off the Katraj Dehu bypass road, Zip by Spree Spine hotels is ideally located for business and leisure travellers alike. 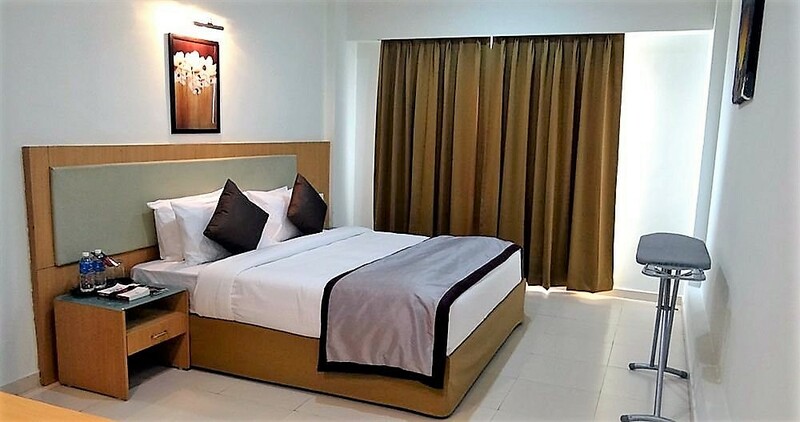 This hotel is proximate to large corporate hubs like the impressive Rajiv Gandhi Info Tech Park as well as academic institutions and commercial centres. 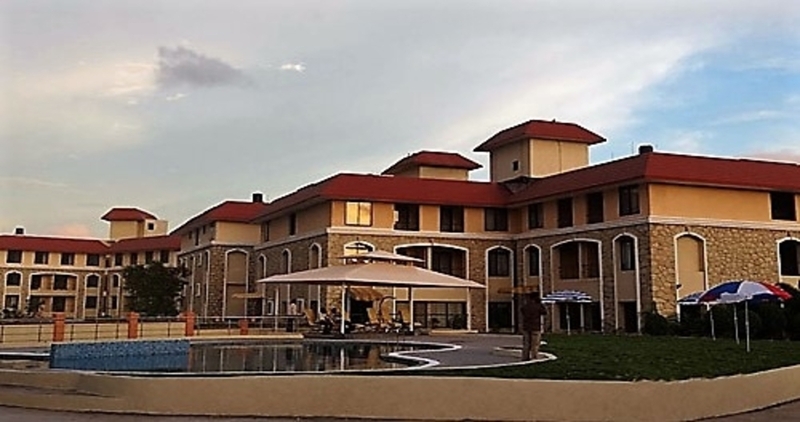 Equipped with great amenities like a swimming pool gymnasium, banquet halls and in-house restaurant this 108 room hotel offers guests everything they can possibly need to have a truly delightful stay!. Spaciously built over 700 sq ft the superior rooms in the hotel are elegantly designed to offer a guests a truly wonderful living experience. The rooms that come in both king beds and twin bedded options, provide a separate living space where guests can unwind and have informal tête-à- têtes with guests. 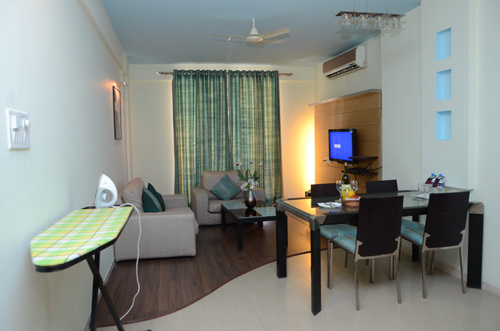 The rooms also have an attached kitchenette and spacious bathrooms. 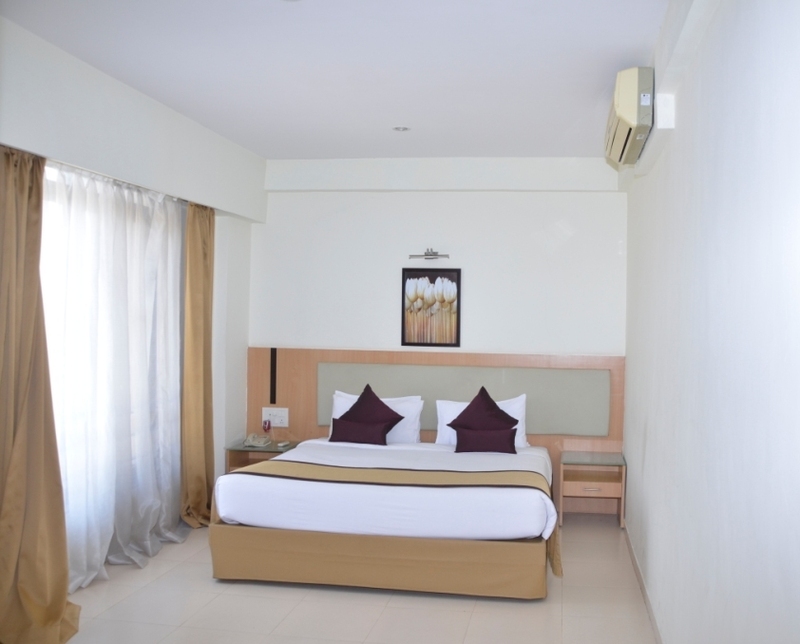 Amenities in the room include LED TV, tea/coffee maker, air conditioning and mini-bar providing everything for a great stay!. 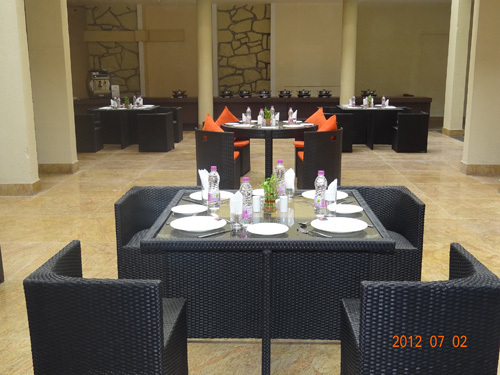 The hotel has an in-house multi-cuisine restaurant that serves delicious food in a pleasant ambiance where guests can enjoy a wholesome meal with friends and family. 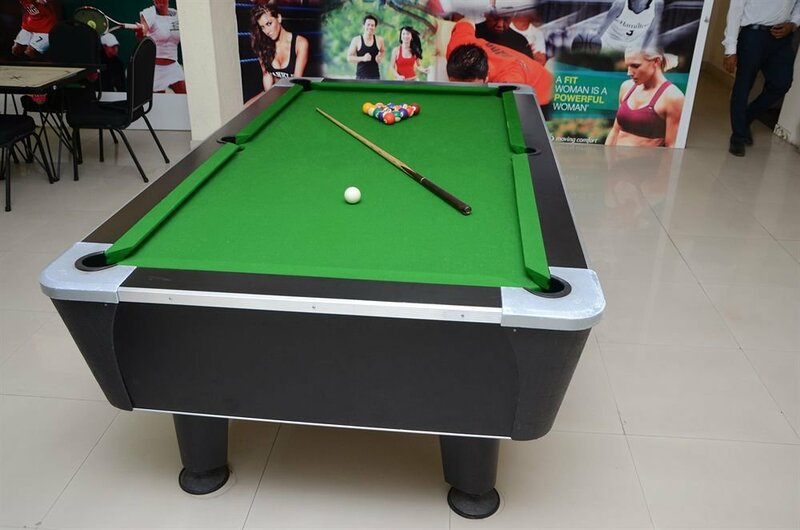 The hotel has a great swimming pool where guests can relax and enjoy themselves after a tiring day of activity. 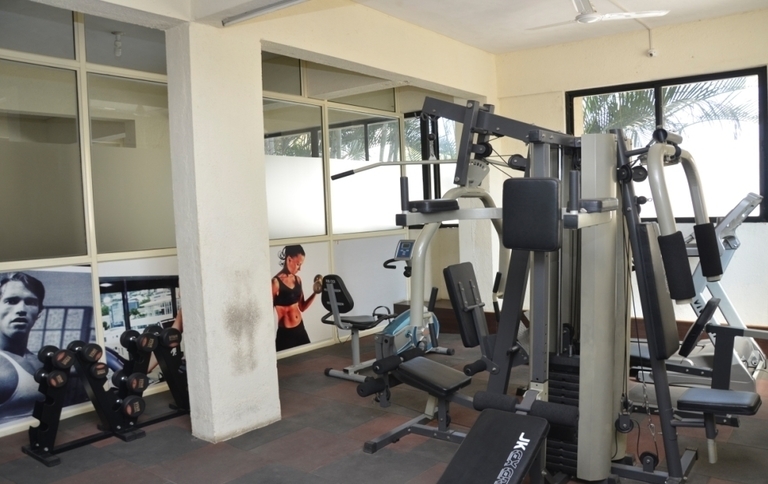 The hotel has a state of the art gymnasium with modern equipment, where guests can catch up on their fitness and maintain a healthy lifestyle even as they travel!functions in an open air setting. 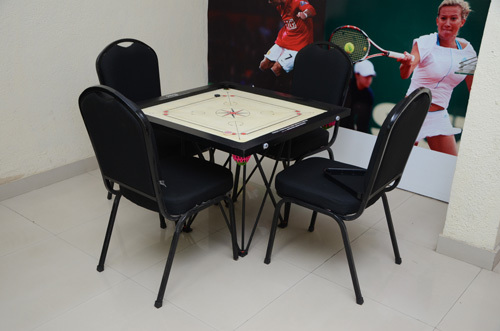 Unwind in the hotel’s recreation room, where guests can play popular sports like table tennis, pool and carom with their friends and family. 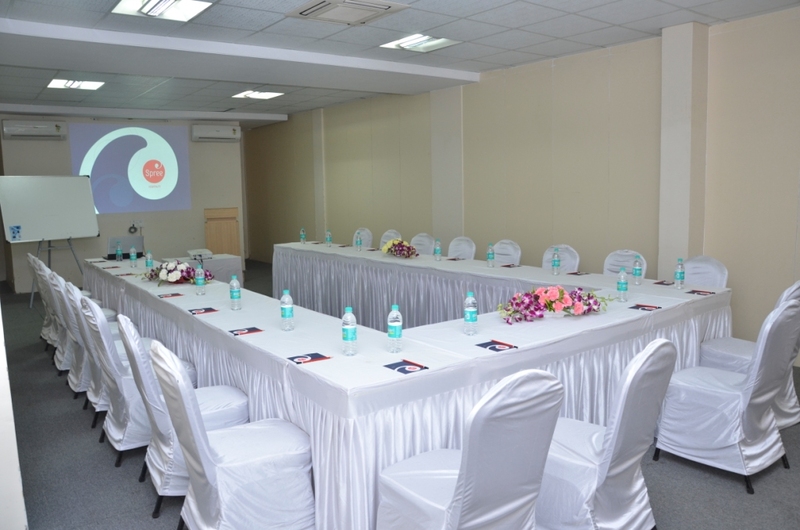 The hotel has 3 in door venues that can collectively accommodate upto 200 PAX, these are ideal for smaller events and corporate meetings for our business guests. 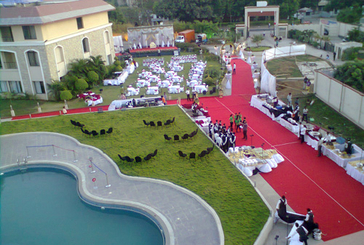 Spread over 7500 sq ft the lush green lawns of the hotel provide a stunning platform to host events, with a capacity of upto 400 people this venue is ideal for large functions in an open air setting. Do you offer handicapped rooms ? Can I reserve a parking lot? What are font desk hours ? What size are the rooms? Can I reserve a table in a restaurant ? Do you offer non-smoking rooms? Do you offer child rates ? Do you offer airport pick up and drop services? Can I have breakfast/dinner even if I am not staying in your hotel? Are special requests, such as gluten-free meals or feather-free pillows, manageable? Where can I get a copy of my invoice after departure? What should I do, if I lost or forgot something in my room? How many rooms can be booked at once ? How can I see which features are included in the price? 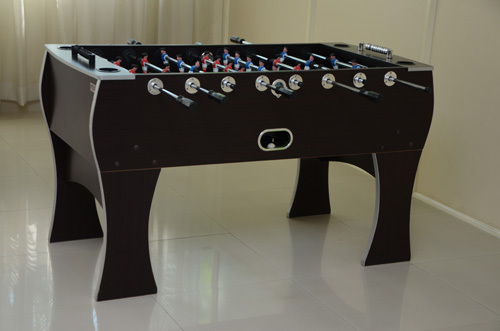 Available on the platform on which you book your rooms. Which online payment methods do you offer? 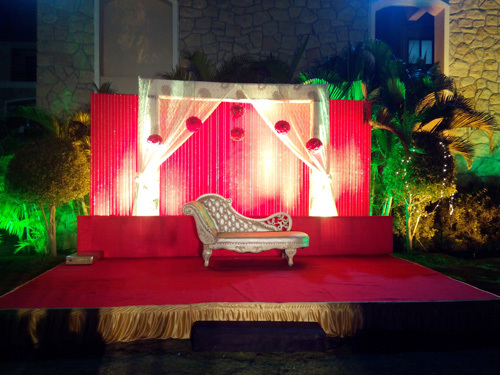 Are bookings for groups possible online? Is my credit card charged at time of booking? How can I change or cancel my reservation? Via email 72 hours prior to departure. By when do I have to cancel my booking, if I want to? 72 hours prior to arrival. Can I cancel only certain parts of my reservation (for example one of the two booked rooms)? What are the documents that are required during Check-in? 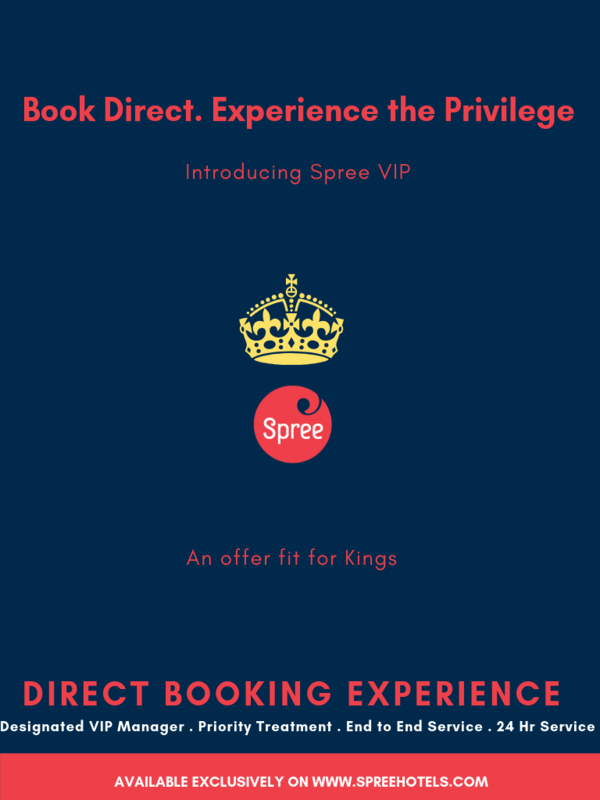 What are the additional amenities and services that Spree Hotels offer? 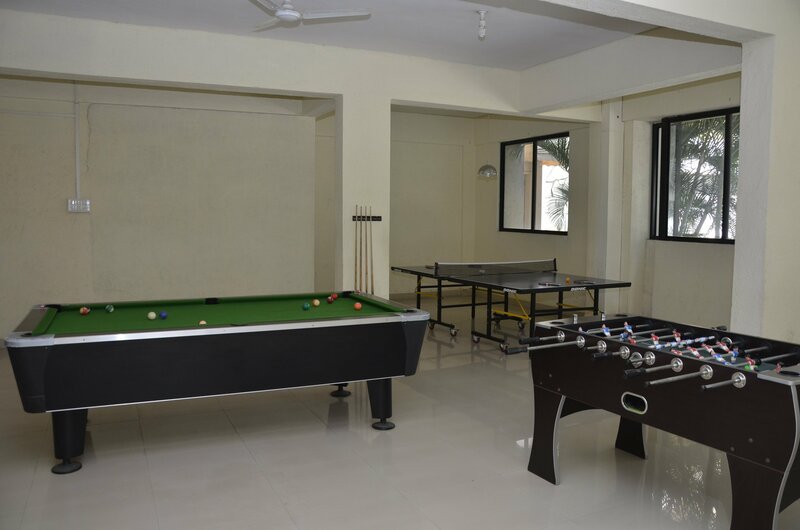 Restaurant, Swimming Pool, gym, games room, banqueting facilities. Are unmarried couples allowed/couples with same city ID proof allowed? 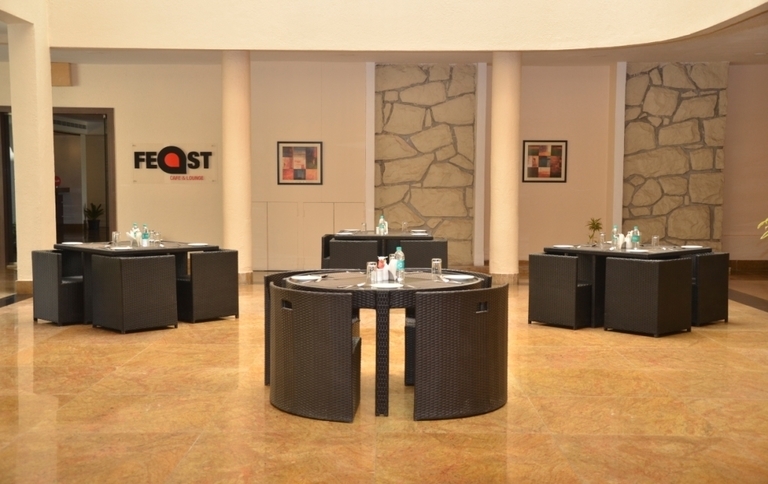 Do you have a 24 Hours F & B Outlet in your hotel? 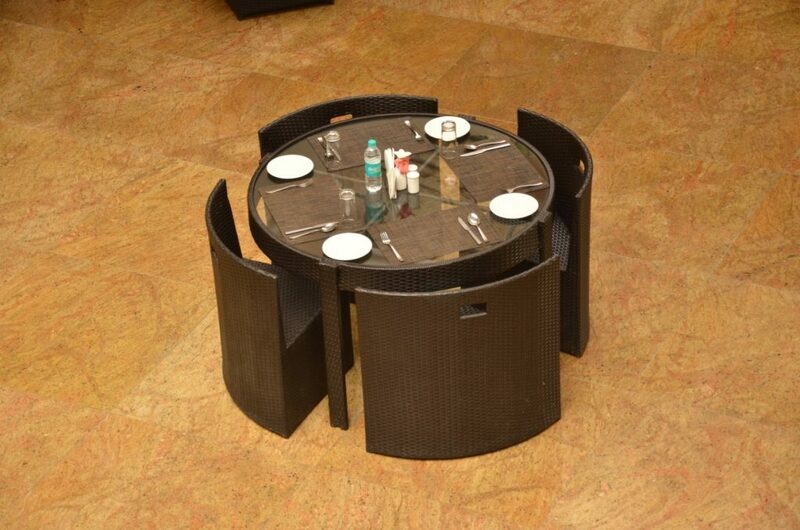 What are the restaurant timings in your hotel? 07:00 hrs to 23:00 hrs. What is the distance of you hotel from Airport/Railway Station/City Centre? What is the best time to visit your city? How is the weather in your city? Do you allow outside food/drink in your restaurant/hotel? Do you provide additional items such as ironing board, hairdryer, dental kit, shoe shiner and others on request?